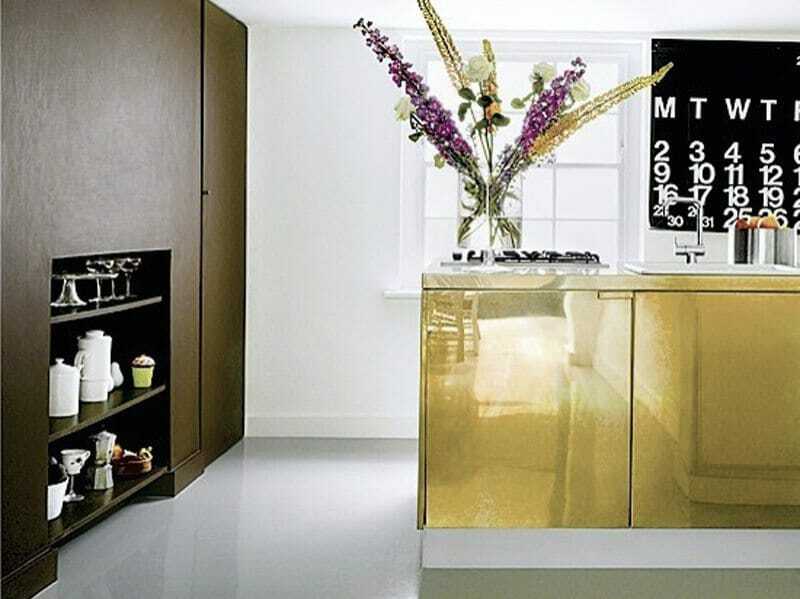 Finishing materials, furniture and accessories of gold color have unlimited decorative possibilities. 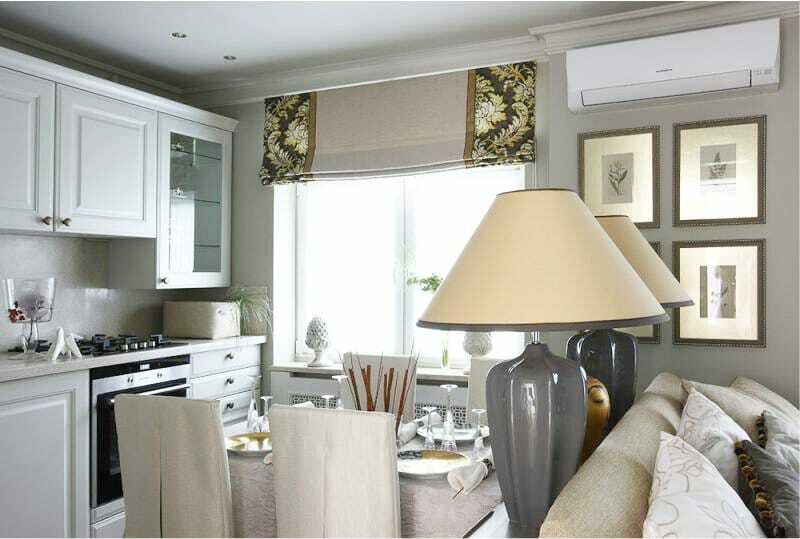 With their help, the interior can become traditional or ultra-modern, respectable or unfortunately, simply tasteless. 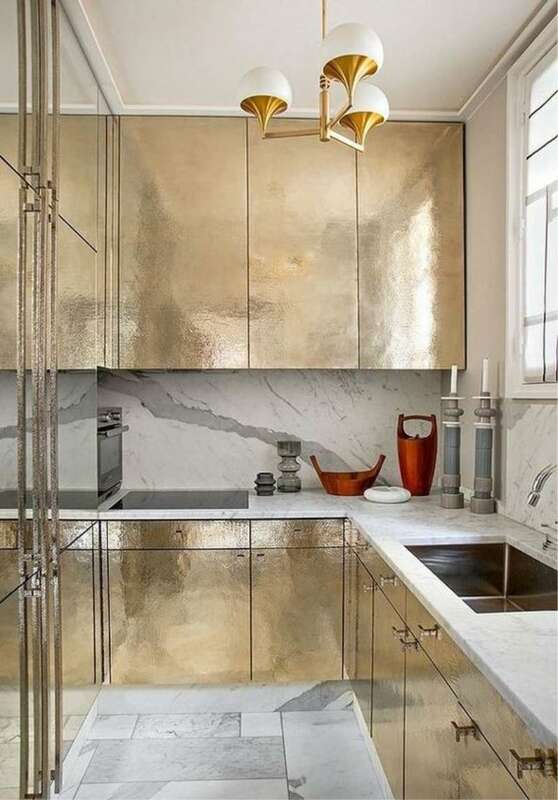 In this material, we show and tell you what principles need to be followed to successfully fit gold into the interior of the kitchen. 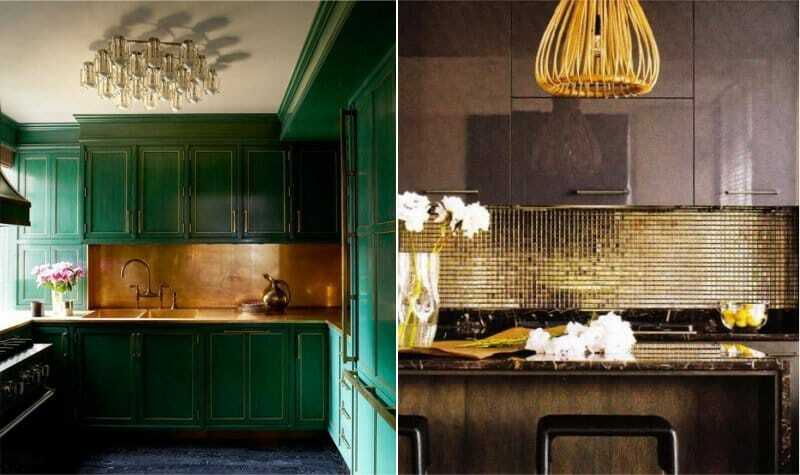 The gold color is so bright and luxurious that if used to a large scale it can eclipse everything and overload the interior.To avoid pretentiousness, try to use it in moderation. The maximum allowable dose is in a ratio of 1: 3 with other colors. 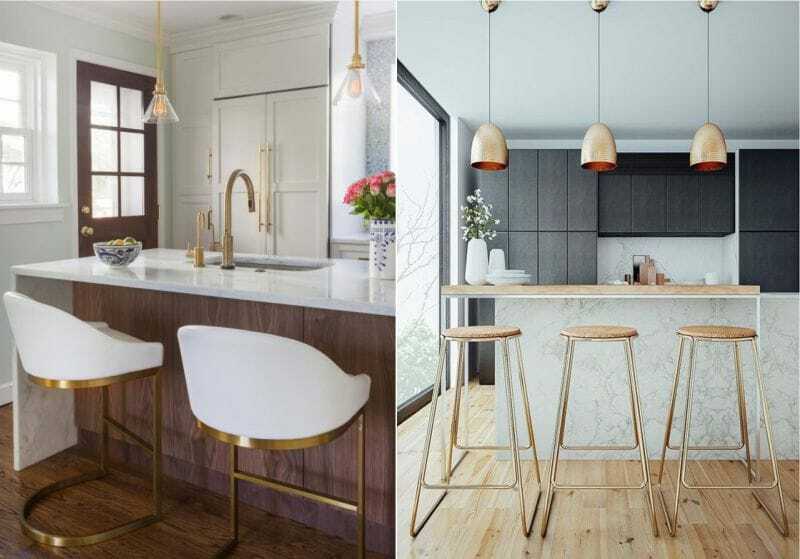 The safest way to add gloss to an interior with gold is to use it only in the decor.In the kitchen, it can be dishes, handles, headsets , vases, lamps, apron and even a mixer, for example, made of brass or bronze. 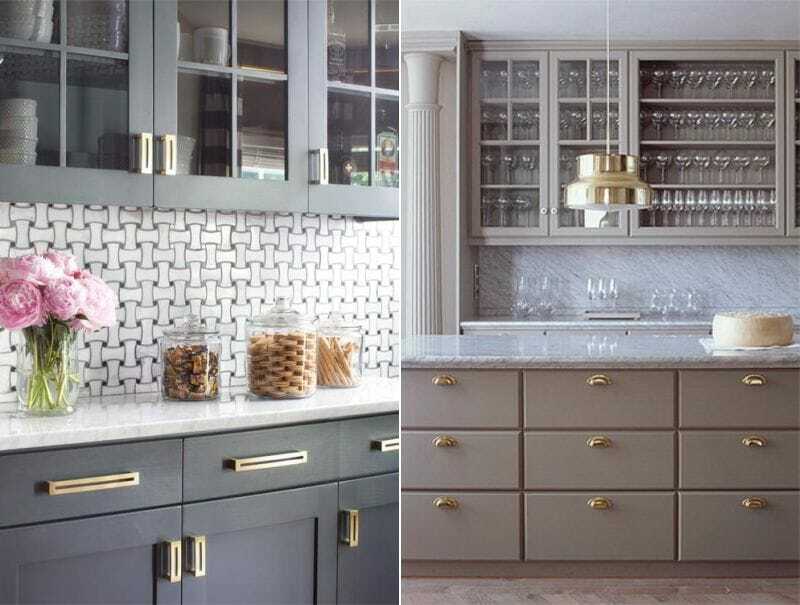 Using a golden color that exactly matches that of the precious metal requires quality performance and a decent environment.So, for instance, patina and gilding look best on kitchen facades from, say, oak, and the apron of gold mosaic will be in harmony with a marble top. Also remember that the more gold color is used in the interior, the more natural finishing materials and furniture it should have. With contrasting tones – blue and turquoise. More information about all the colors can be found in the “Kitchen Color” section. 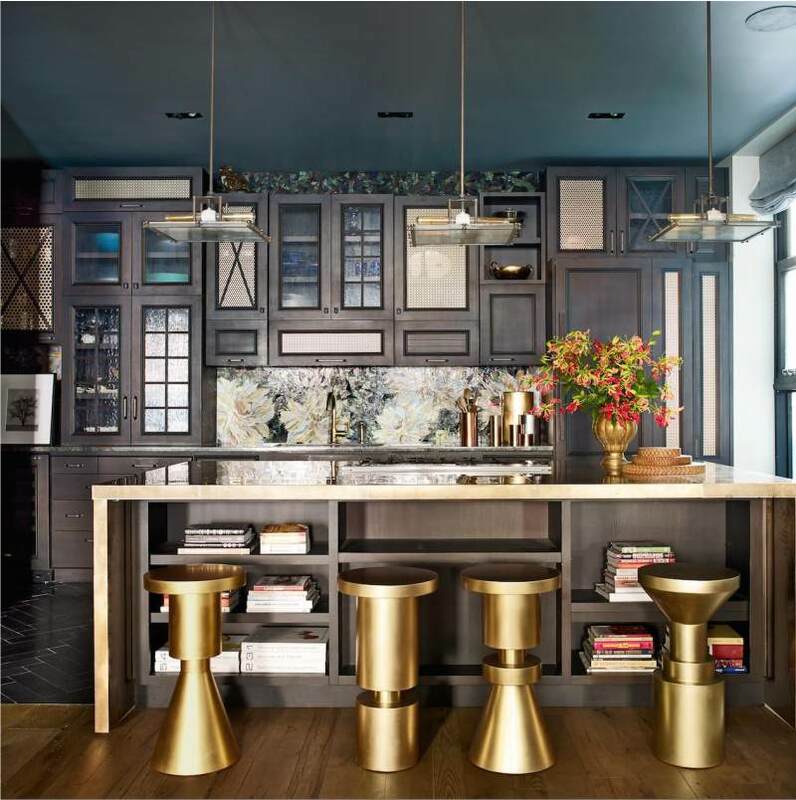 Golden details are most appropriate in a kitchen in a classical or palace style, as well as in modern interiors in the style of art deco, loft , high-tech and minimalism . Remember that the more gold in the interior, the less complex the décor should be; ornaments, drawings, motley, multi-texture, gloss.Neutral colors are the best background for our hero-gold. 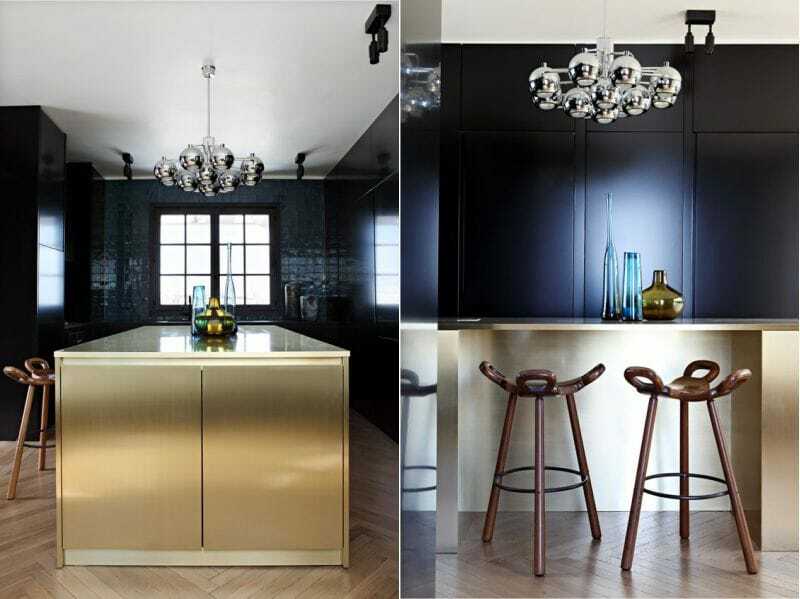 Next, we present you a selection of photos and kitchen ideas with gold details. 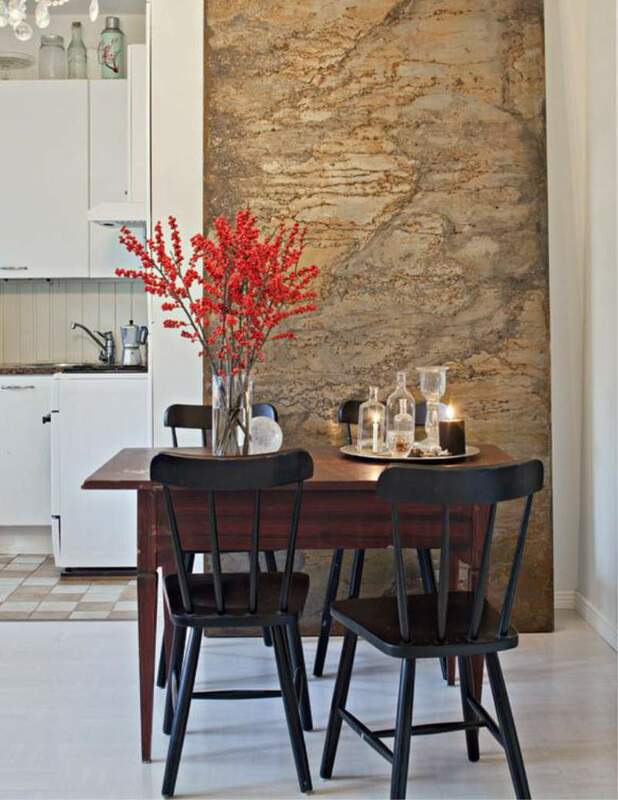 Decorate the walls with decorative plaster in gold. 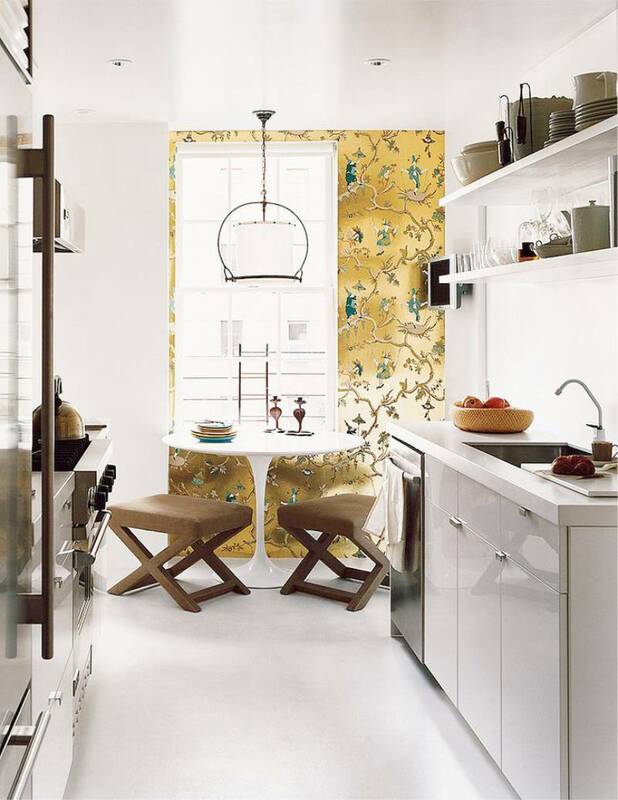 Photo-examples of gold walls in the interior of the kitchen are presented below. 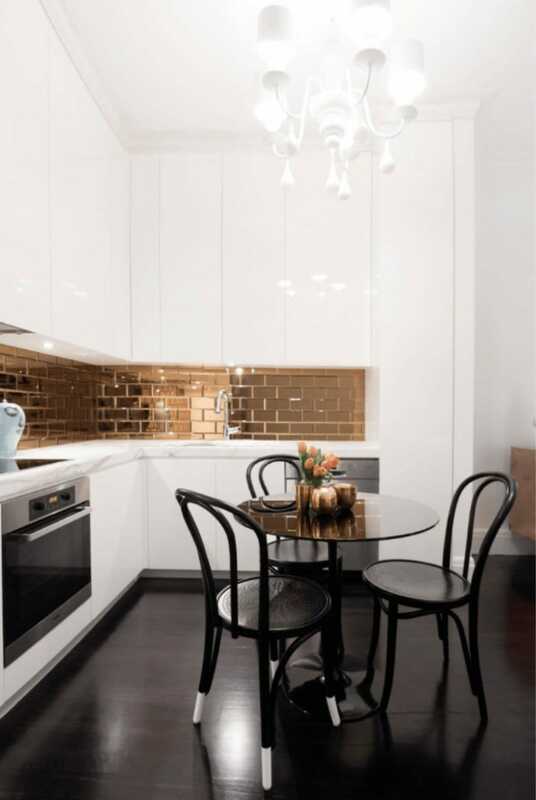 Because of its size, the apron is an ideal place for a golden accent. Most often, gold aprons are mosaic-tipped . 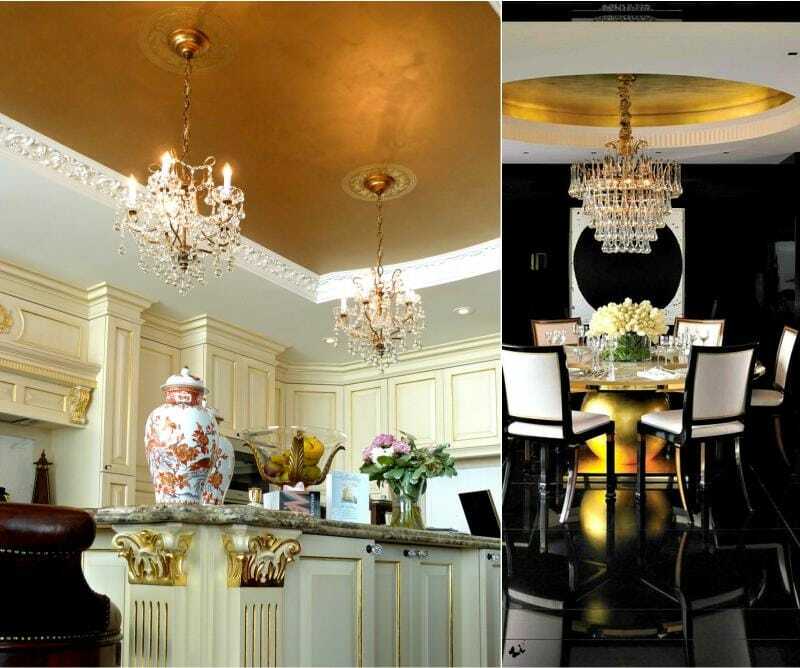 If you want a gold ceiling in the kitchen, then you can realize the idea with the help of PVC stretch fabric, ceiling panels or gold leaf covering the whole surface or just stucco molding. 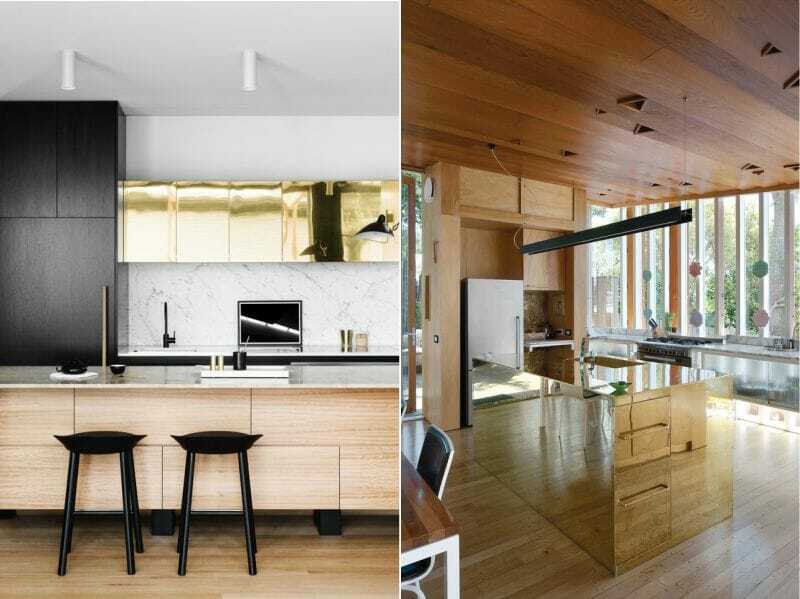 And the gold can be only part of the kitchen, for example, the island or the upper tier as shown in the next photo compilation. 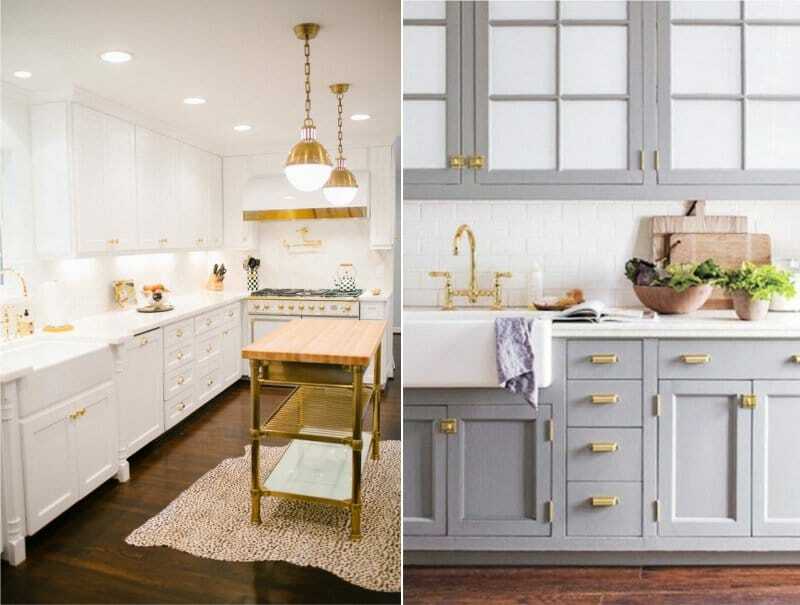 If a gold kitchen is suitable only in minimal application of the gold color, then the kitchen with gold-plated, brass or bronze handles will please even conservatives. 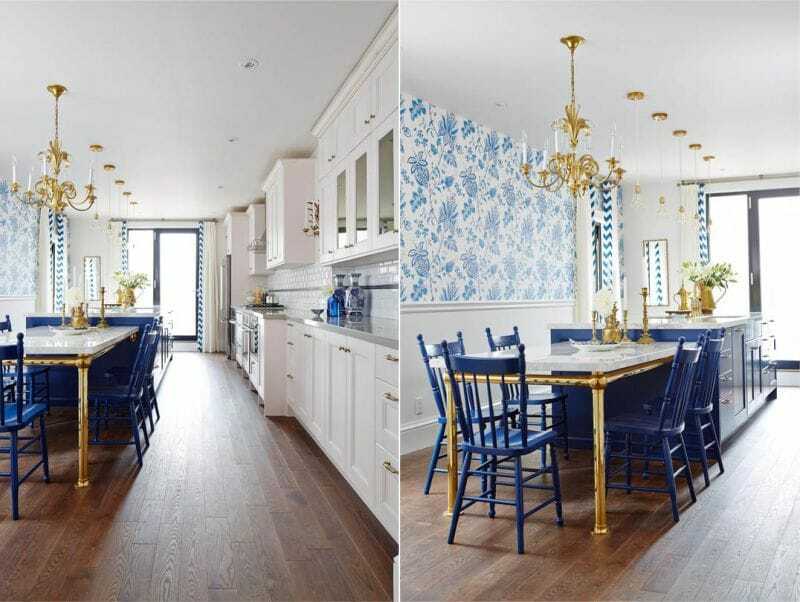 They appear especially pleasant against backgrounds of white, black or gray facades and in union with other gold accents, for example, a chandelier. 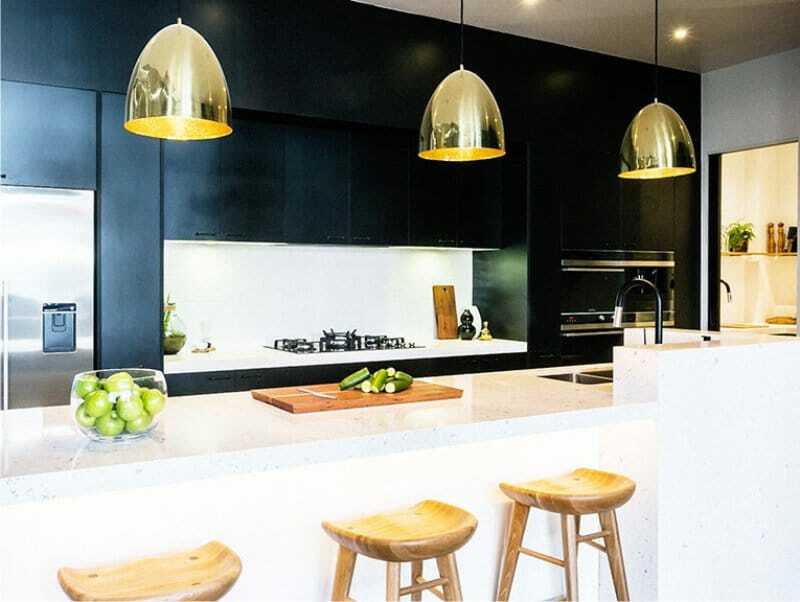 Examples of this kitchen design are presented below. The dining room , most often chairs, can also be gold. Chairs can have metal legs in the color of gold, brass decorative carnations on the upholstery, as well as patina or potal on the carving. 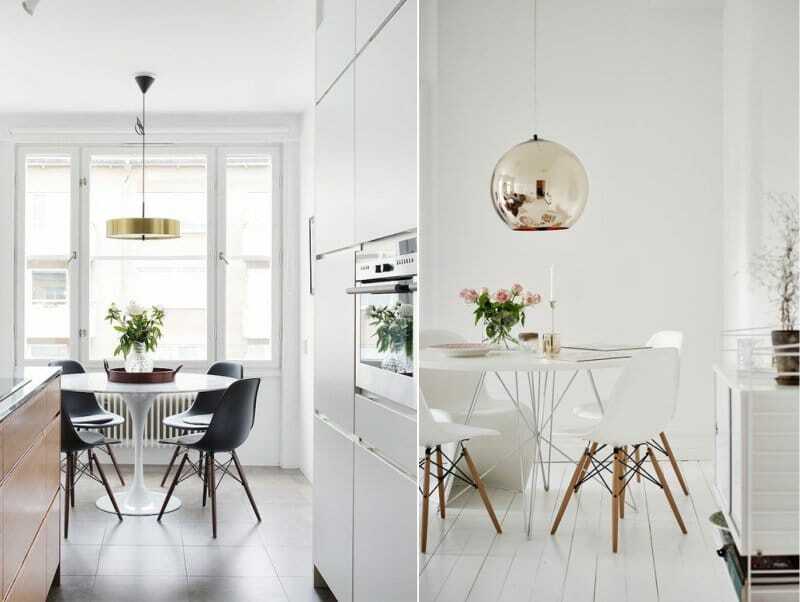 You can turn ordinary chairs from wood or metal into “precious” ones yourself, by painting their details with the help of paint in a spray, while covering with the same pantaloupe or patinated with patina. 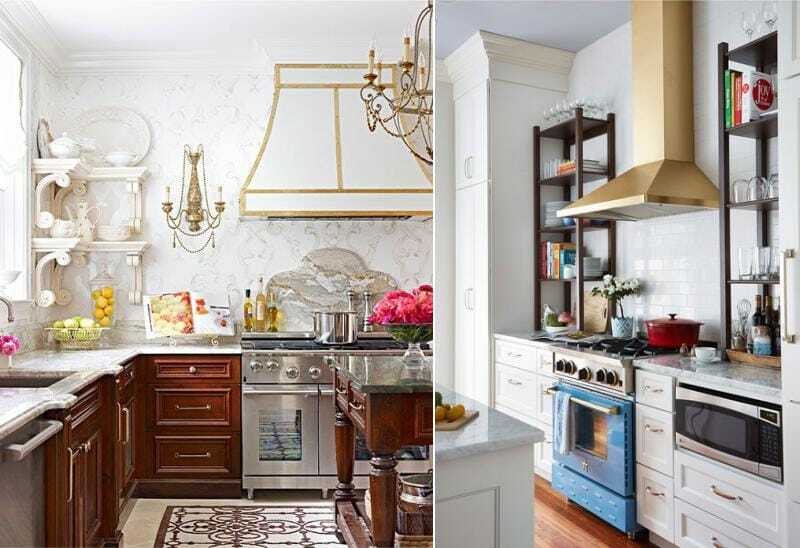 When decorating the kitchen in a classic style, loft style or high-tech, pay attention to the gold appliances and plumbing. 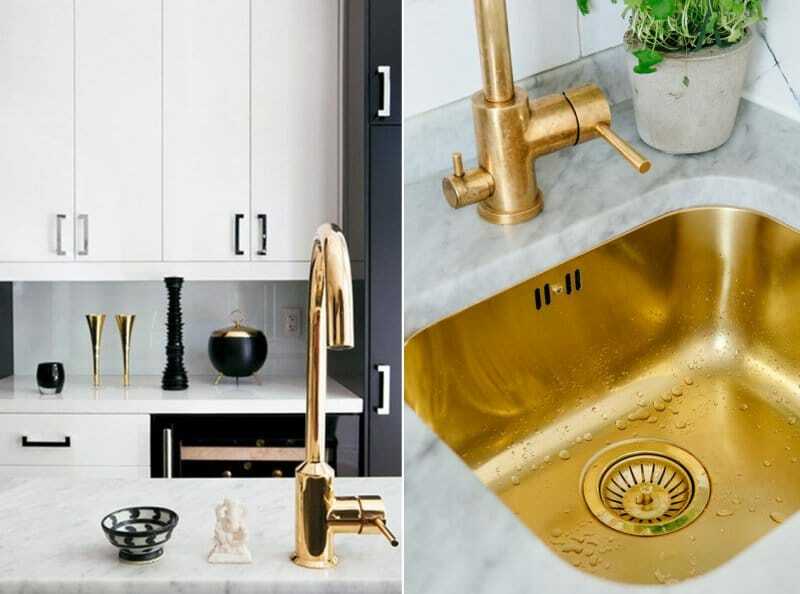 A particularly effective look encompasses a completely gilded hood, faucet and sink as in the photo. 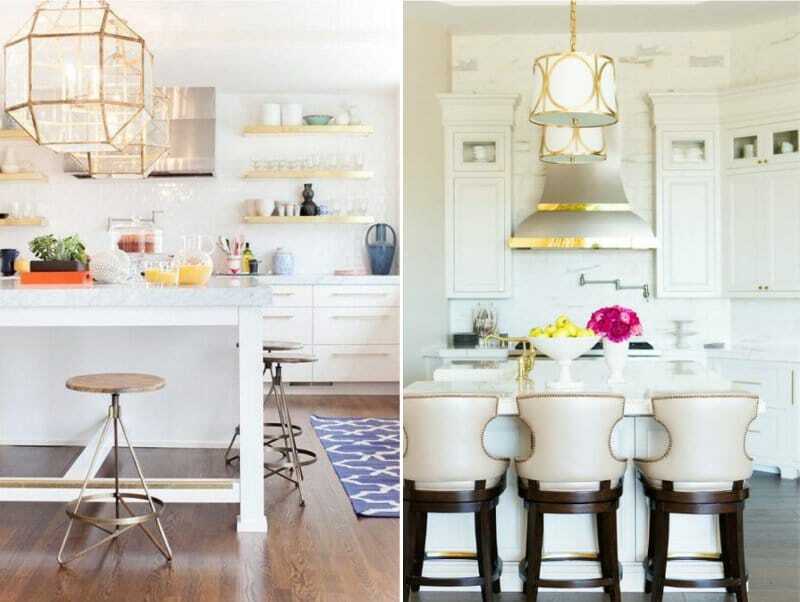 Decorating the kitchen with accessories in gold color is a safe and easy way to decorate the kitchen, without fear of going over the top. 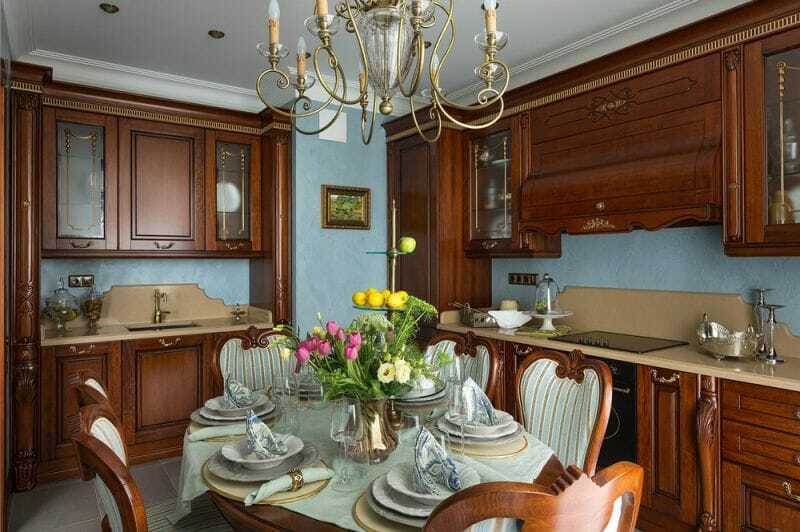 Chandeliers and candlesticks, vases and dishes for fruit, cornice and holders for curtains, picture frames and photos – all these can be chosen in the color of solar metal. Here are some examples of such decorations.